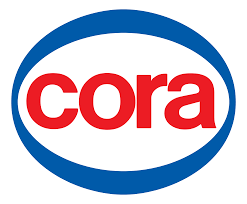 Cora Romania is one of the most dynamic brands in retail. The group has been present on the Romanian market since 2003 and owns currently 11 shops in the most important cities, including Cluj. Constantly committed to innovation and dedicated to the customers, cora Romania launched the home delivery facility attached to coraDrive, offering to customers the possibility to buy, using not only the computer but also the mobile phone or the tablet.